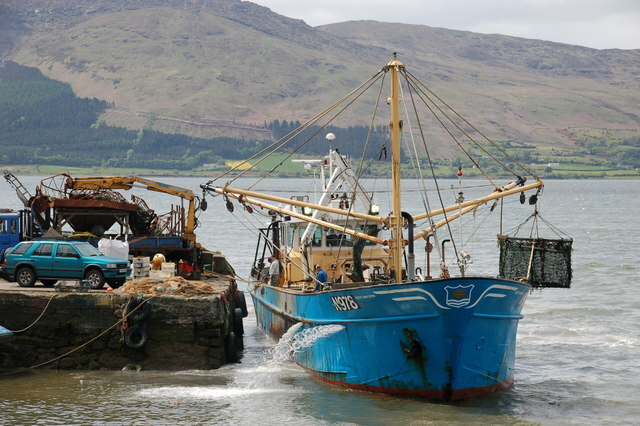 There are mussel beds in Carlingford Lough and mussel harvesting is undertaken on a significant scale. One of the boats involved is seen arriving at the small quay at Rostrevor, known locally as Rosses Quay. Read more about local mussel farming.